This is the 35th sthalam on the southern side of river Cauvery. Thiruganasambandar and Appar has sung hymns in praise of Lord Shiva of this temple. 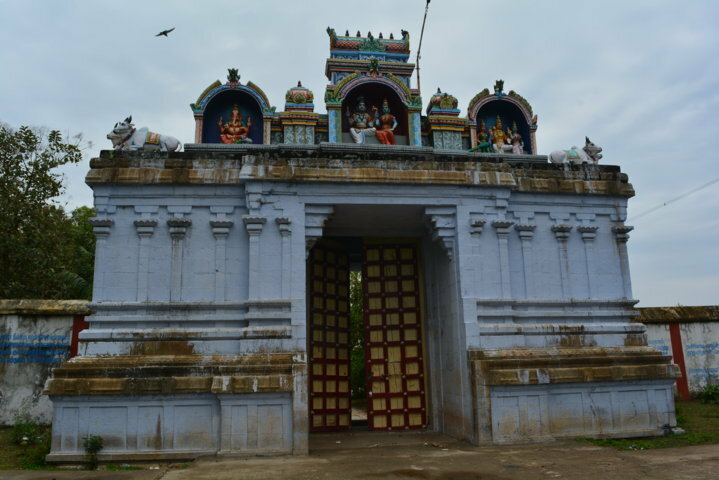 This Shivastalam is located in the vicinity of Tiruvavaduturai at a distance of 5 km from the Narasinganpettai railway station. 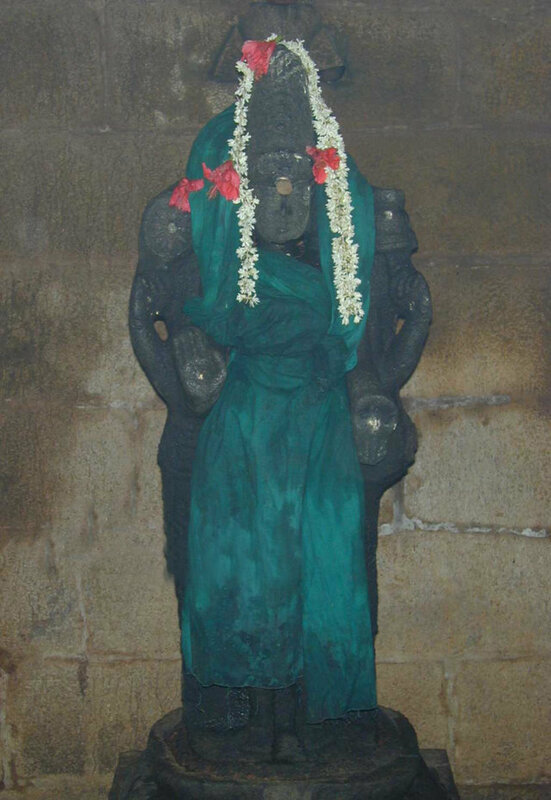 This shrine is also known as Kokilapuram and is considered to be the 35th in the series of Tevara Stalams in the Chola kingdom located south of the river Kaveri. Lord Shiva is a swayambumurthi in the temple. The Bana part of the Linga is big in size. The foot prints of a cow are visible on the Aavudayar of the Linga – Peeta, indicating the penance of Mother Parvathi in the form of a cow. Scar Impression of cow's (Sri Parvathy in the form of Cow) leg is found on the Aavudayar. Sannadhi for Vinayagar, Appar, Murugan, Gajalakshmi, Bairavar. In Koshtam Natarajar, Sattainathar, Pitchadanar, Dakshinamoorthy, Durgai, Lingothbhavar, Brahma, Vinayagar. The temple occupies an area of about 2 acres. Hoof marks of a cow are seen on the Shivalingam. The sanctum faces east. Images of Bhikshandakar, Sattanathar and Natarajar adorn the niches of the sanctum in addition to the usual set of deities that are associated with the goshtams in a Saivite sanctum. 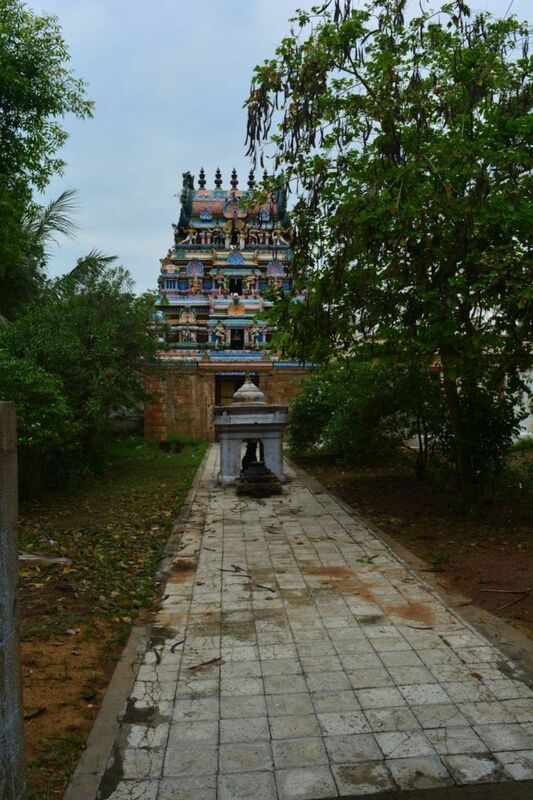 This temple is attributed to the pious Chola queen Sembiam Mahadevi. The legend has that Lord Vishnu and Lord Shiva were engaged in a dice game, meanwhile Lord Shiva required to clear some reservations about the game with Goddess Parvati. But, Goddess Parvati amusingly responded favorable to Lord Vishnu. Lord Shiva was annoyed at the reply of Goddess Sri Parvati and cursed her to be born as a cow on Earth. Accordingly, Goddess Parvati took birth as a cow and worshiped Lord Shiva in many sacred places and finally reunited with Lord. In this temple the Linga can be seen with the foot prints of cow visible on the upper portion. Another legend has that Lord Brahma and Lord Vishnu had an argument about their supremacy. 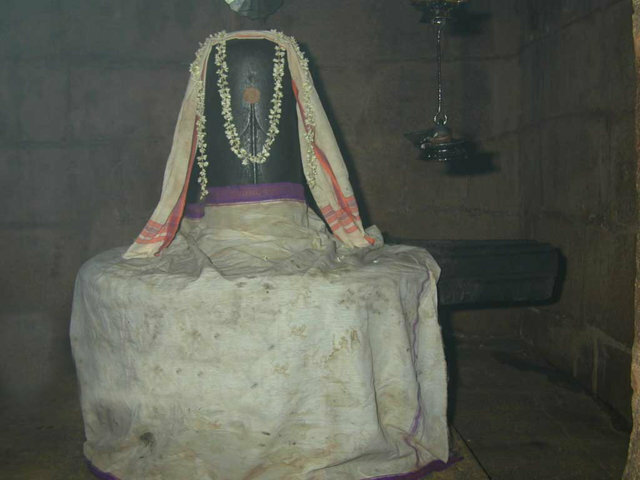 Lord Shiva appeared in the form of a huge Linga to resolve the issue between the two deities. Lord Brahma took the form of a swan and dived into sky and Lord Vishnu turned out a wild boar and plunged into the Earth with an intention to find the beginning and the end of huge Linga. Later, Lord Brahma returned with a wrong witness of Thazhampoo (Ketaki - screwpine) flower and Lord Vishnu came out with his sincere remarks. Lord Shiva cursed the Ketaki flower and lost its presence in all the rituals forever. Later, the most compassionate Lord blessed Ketaki flower that her presence would be permissible only on the day of Mahashivratri rituals. Lord Brahma was cursed by Lord Shiva. 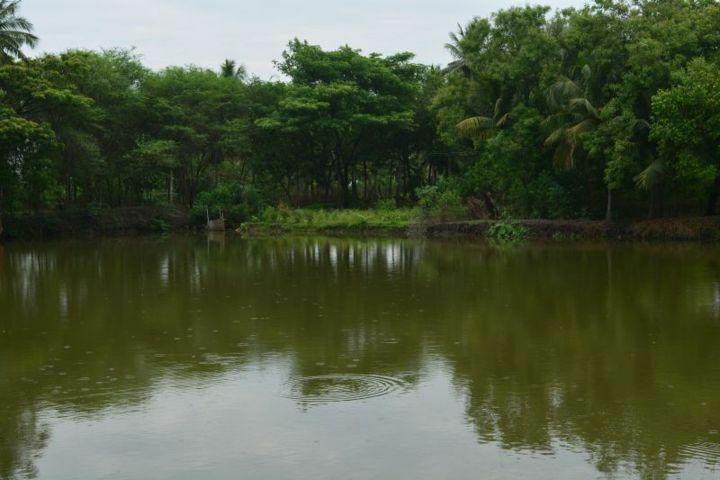 In order to get rid of the curse Lord Brahma arrived on this land and created a pond known as Brahma Theertham. Eventually, underwent severe austerities praying to Lord Shiva and got relieved from the curse. Location: This sivasthalam temple is located 20 Kms from Kumbakonam. From Kumbakonam, one has to travel on the Karaikkal road and reach S.Pudur village and travel north on a branch road which leads us to Tirukozhambam. Phone: +91 4364 232 055 and +91 4364 2320 005.